Pat often finds his car modelling inspiration in some out-of-the-way places. 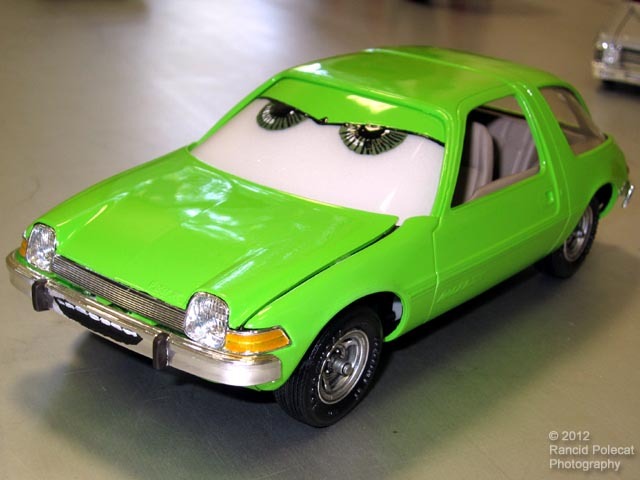 This time it came in the form of a used 1975 AMC Pacer kit from which another builder had taken the 232 cu. in. straight six engine. Having no use for the rest of the model he offered it to Pat who immediately envisioned it as one of the characters from the Disney - Pixar movie, "Cars 2."